Jan 15, 2019 | In 2018, NeuroCheck GmbH has continued to follow its uninterrupted path of growth. By concentrating consistently on innovation, technology and efficiency, the company has once more reached a new turnover record. Nov 30, 2018 | “Coming together is the beginning. Keeping together is progress. 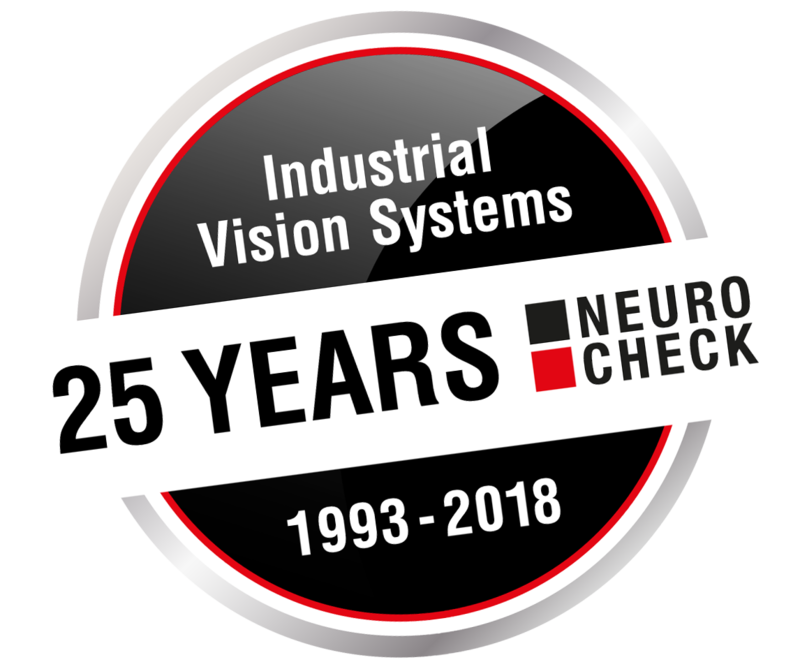 Working together is success.“ (Henry Ford); In November 1993, NeuroCheck began in the then completely underdeveloped market of industrial vision. To develop a powerful and easy-to-operate platform for industrial vision was the aim of the company’s founders who both had years of practical and programming experience. Jan 19, 2018 | The new NeuroCheck RoboDirector is an easy-to-use tool for robot-based camera positioning in combination with the NeuroCheck image processing software. The RoboDirector is the link between the NeuroCheck image processing software and the controller unit for robots by Universal Robots. Business year 2017 promises further continuous growth for 2018. Jan 16, 2018 | For NeuroCheck GmbH, the year 2017 was very successful with even more momentum in the second half. Throughout the year, demand in the application area was on a constant solid level. There continues to be a significant trend towards more complex tasks both at automotive suppliers and medium-sized machinery builders. A new approach, closer to daily operation for users and operators, maintenance personnel and system technicians. Nov 20, 2017 | This is what we aimed for when we reorganized the NeuroCheck Training Courses. By focusing on specific practical exercises for the system solutions, the user will be able to create camera inspection systems himself, locate and eliminate error sources, and operate the line efficiently. Aug 15, 2017 | NeuroCheck GmbH has concluded a strategic partnership with the Chinese system house Intellisight (Suzhou) Vision System Co. Ltd.. The successful cooperation will be even closer in the future in order to offer turnkey system solutions to potential customers in China. Jan 15, 2017 | NeuroCheck GmbH is intensifying the system partnership with the chinese company Intellisight (Suzhou) Vision System Co. Ltd.
Jan 27, 2017 | NeuroCheck is looking back on a very eventful and successful year. Jun 27, 2016 | The second service pack for NeuroCheck software version 6.1 is now available. Jun 25, 2016 | NeuroCheck GmbH has expanded its site at their headquarters in Remseck. Feb 10, 2016 | 3D image processing is becoming more and more important for industrial manufacturing. With this in mind NeuroCheck GmbH has developed high-performance all-in-one solutions for challenging inspection tasks. Aug 24, 2015 | The first service pack for NeuroCheck software version 6.1 is now available. Oct 13, 2014 | NeuroCheck 6.1, the latest generation of the configurable machine vision software with numerous new features and enhancements, is now available. Do you have any questions or would you like further information? Please contact us directly by e-mail. For general questions, please use our contact form. The copyright notes for the images can be found in each news.